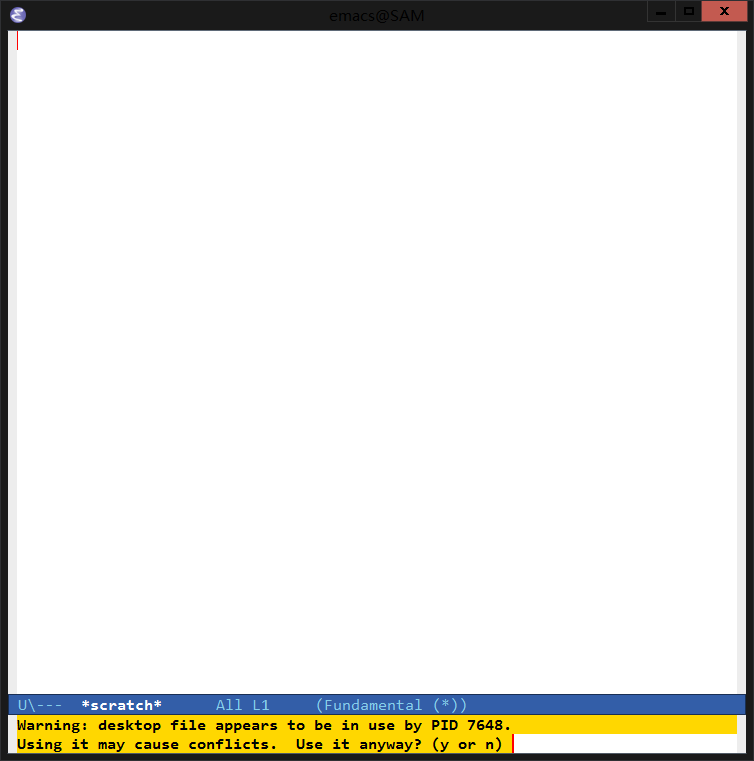 In desktop-save-mode, every time Emacs recover from exceptional quit or crash, I get this warning. Every time I just answer yes and it looks everything are normal. So I don't know what's the reason to answer no. But it gets annoying when there are lot of buffers needs to be recovered, I have to wait quite a while after answering this warning. I would like to skip this answering so I can just launch Emacs and leave for a while, when I come back the Emacs already recovered the environment. This is one among the three conditions of or logical. If we answer yes every time, it will always be false. For the or logical, we can omit it, so we can safely delete it or comment out it. To make it take effect you may need to delete desktop.elc under the same folder so the modified version will be used immediately.